This morning brought the first snow of the season. While schools closed and cars were slipping on the road in front my house, the mail arrived with a thump on my doorstep. Inside was Interpreting African American History and Culture at Museums and Historic Sites, the book I worked on for the last few years with two dozen contributors. I try not to judge a book by its cover, but Rowman and Littlefield has increased its attention to graphic design and it really paid off. It’s a handsome book. But it’s even better inside! If African American history isn’t a topic at your historic site, do check out the others in this major new series produced by the American Association for State and Local History. 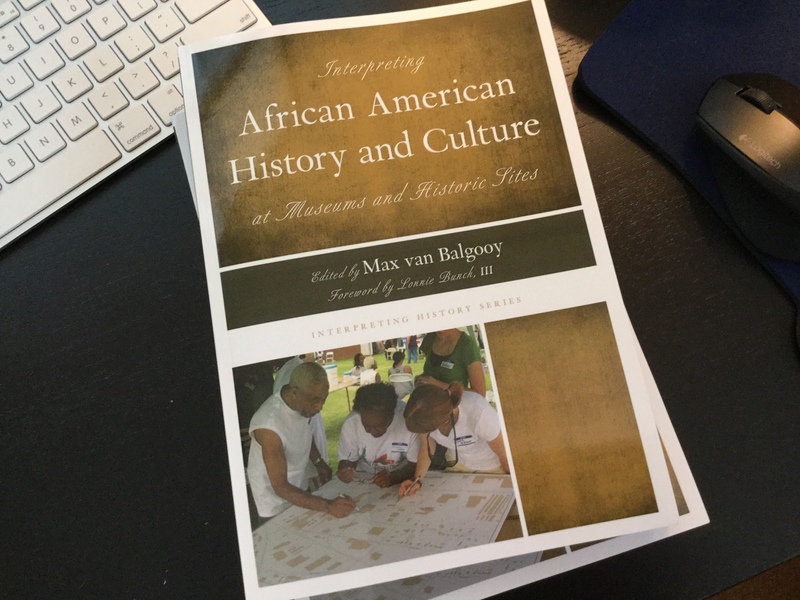 This entry was posted in Books and articles, Historical interpretation and tagged African American history on January 7, 2015 by Max van Balgooy. Congratulations, Max! Looking forward to reading this. Well done, Max! Very much looking forward to receiving my copy.